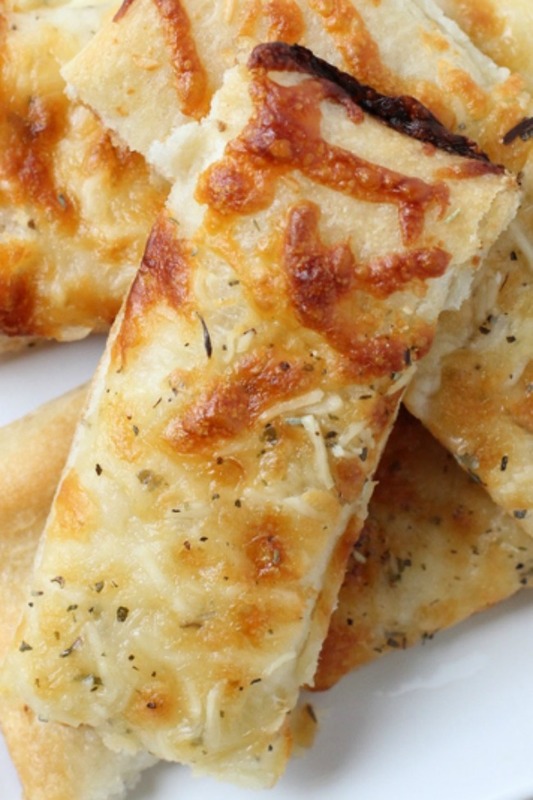 Who’s ready to make a delicious Homemade Cheese Bread at home tonight? We have the best recipe for you and it’s simple to make with only a handful of ingredients! This is a great recipe to make alongside your Homemade Pizza! 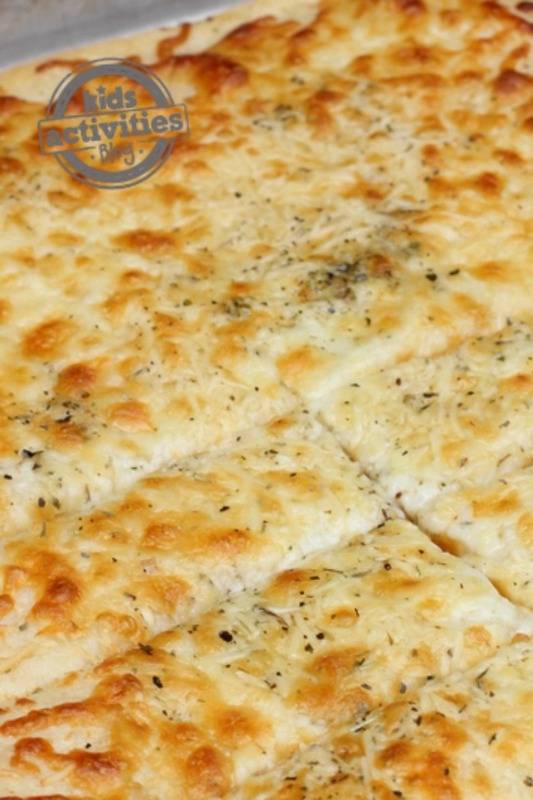 I adore cheese bread, when we eat out at a pizza restaurant I fill up on the cheese bread every single time. Maybe I’m actually just a carbs person but these are my favorite things to stuff myself silly with! My favorite is to dip them in a ranch dressing but my boys love marinara sauce. If you want to make these into pizza cheese bread sticks, simply add some pepperoni or your favorite pizza topping on the top of these bread sticks! I think they would be amazing with some mushrooms and peppers as a veggie bread stick. Step 1 – Spread the pizza dough out onto a cookie sheet or pizza pan, depending on the shape you want to make. Step 2 – Using a brush, spread the melted butter over the crust. Step 3 – Add the cheeses on top of the dough. Step 4 – Sprinkle the garlic salt and Italian Seasoning over the cheese. Step 5 – Bake for 25 minutes or until it’s browned. We use ranch as a dipping sauce for our cheese sticks, but you could use a marinara sauce too. What’s your favorite recipe to splurge on? Do you love pizza and bread and all of the carbs like I do? Or do you love the desserts like Apple Pie Rolls? They’re all amazing to eat but we all have our favorite! Let us know what yours is over on our Facebook page! This was fantastic! I made it tonight to go with spaghetti. We love it. I’ll be keeping this recipe!